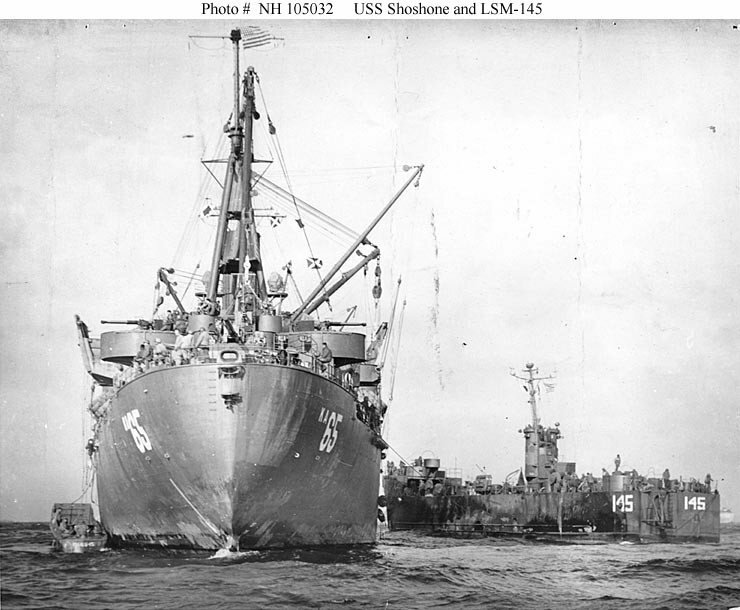 Laid down, 12 May 1944, as a Maritime Commission type (C2-S-AJ3) hull, under Maritime Commission contract (MC hull 1388), at North Carolina Shipbuilding Corp, Wilmington, N.C.
85k USS Shoshone (AKA-65) seen from astern, with USS LSM-145 alongside. 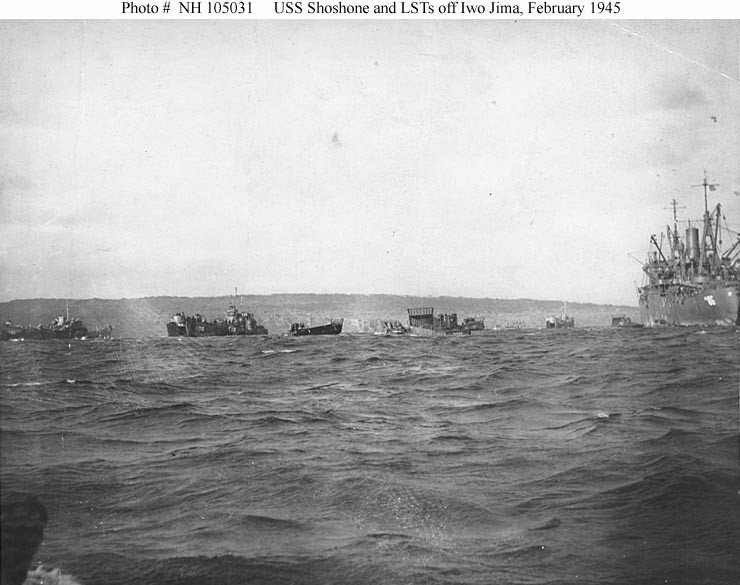 Probably during the Iwo Jima landings in February 1945. 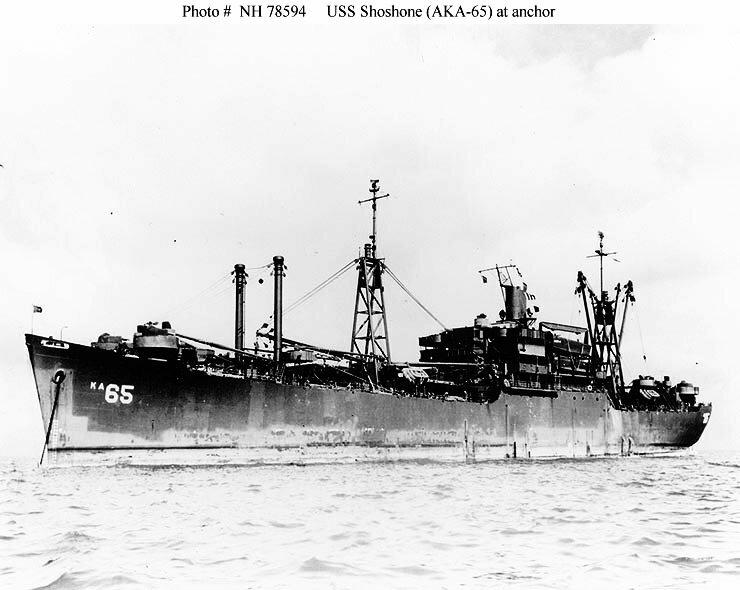 90k USS Shoshone (AKA-65) at right off Iwo Jima during the landings there, February 1945. 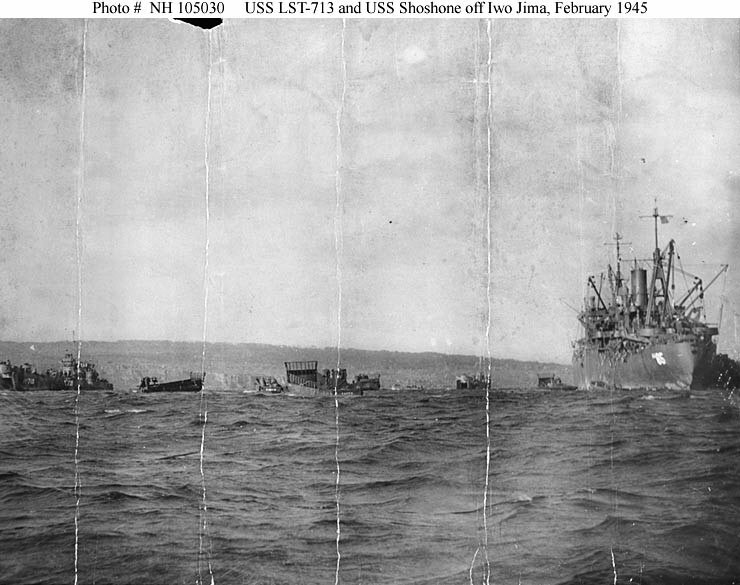 At left is USS LST-713, with USS LCI(G)-739 alongside. 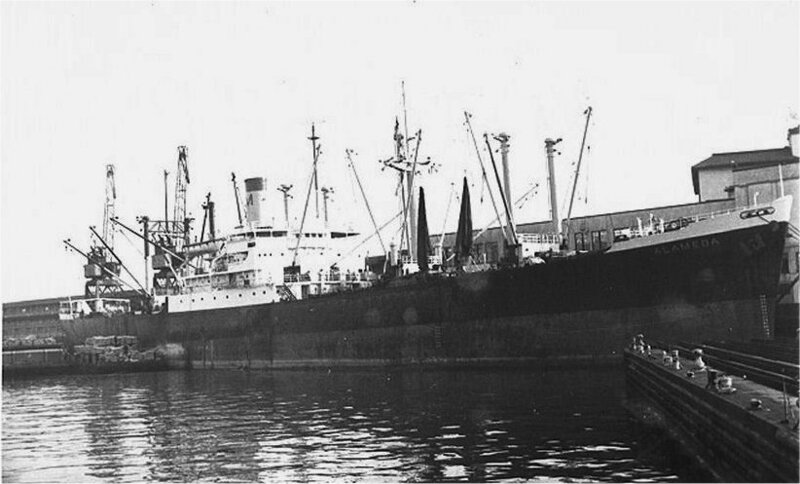 67k USS Shoshone (AKA-65) at anchor, probably in San Francisco Bay, in late 1945 or in 1946. 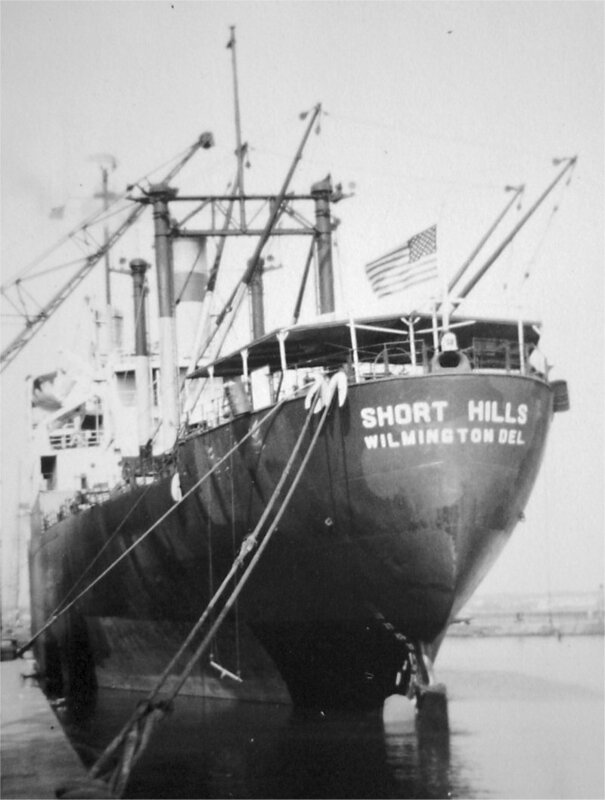 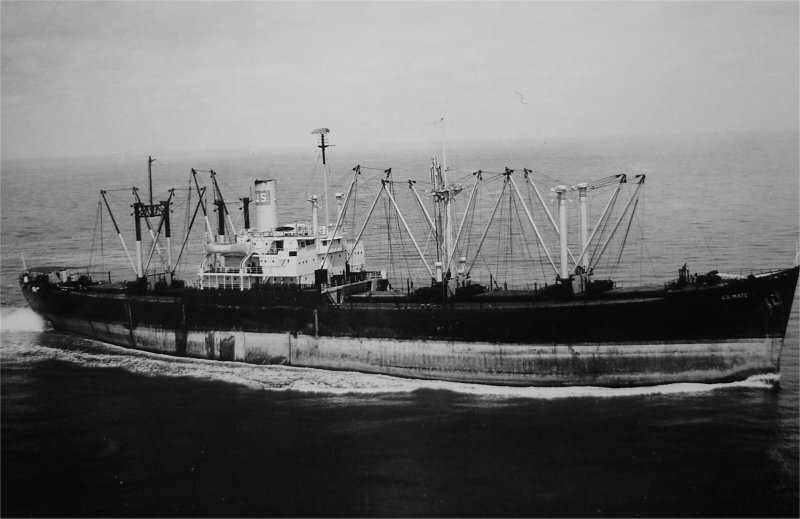 Merchant Service Matson Lines Waterman S.S. Corp.
59k Ex-Shoshone (AKA-65) under way while in merchant service as the AEC Shipping Company's SS US Mate in the Malacca Strait, circa late 1960s.